Many clients see my posed shots and ask me about my approach to weddings. Is it more hands-on and posed? Or do I also do candids, aka wedding photojournalism? The honest answer here, in my opinion, is that weddings demand a professional photographer to master both approaches. When working with family groups, setting up my iconic creative portraits, or capturing details, it’s important to get exactly what I want as an artist (that’s what my clients expect! ), and to ensure that these parts of the day stay organized and go smoothly. 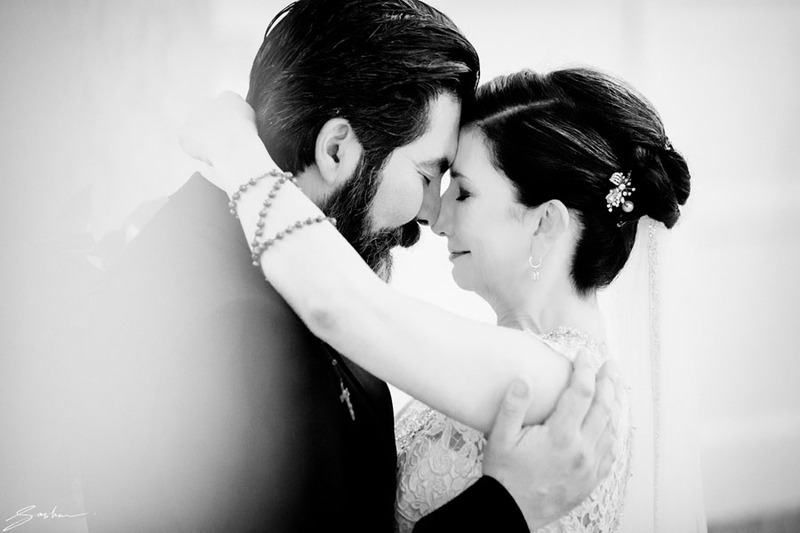 But there are also many parts of the wedding day where it’s best to fade out to the background and let the emotions flow and the moments happen naturally. With the right tools and sense of anticipation, I become an effective photojournalist. Because I understand the flow of a wedding day, I am always prepared to capture the most raw, the real, the intimate. This image of Robert and Martha is just such a moment. After the ceremony, the couple exited to a separate room and stole a moment to themselves, away from their families. I made sure my shutter was on silent mode and peeked around the corner to find them in an inseparable embrace, overcome by the emotion of their commitment. The result is one of the most truly candid wedding photographs I’ve ever taken.